Yellow River rare stones are stones of natural beauty. They fall into several types according to the process of formation, shape and various other characteristics. They include stones that have beautiful surface patterns, stones that resemble objects in nature or in the human world, brightly colored stones and so forth. Yellow Rive rare stones in Gansu Province are often found in Lanzhou. The veins on the surface of the stones resemble sceneries and objects in nature, ranging from mountains, rivers and grasslands to trees, animals and people. 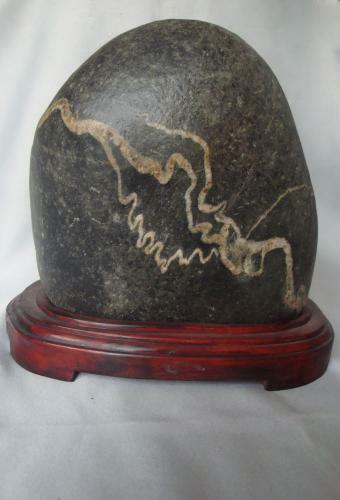 The Lanzhou Yellow River rare stones have been collected by people for several hundred years. Lanzhou is the provincial capital of Gansu and a major cultural center in northwest China. The city features a great wealth of cultural resources. Here, we present some of them.